So it’s finally happened: you’re engaged! Congratulations! 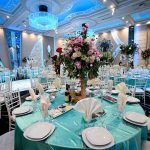 Now comes all the stressful—but fun—wedding planning decisions you get to make for your special day. 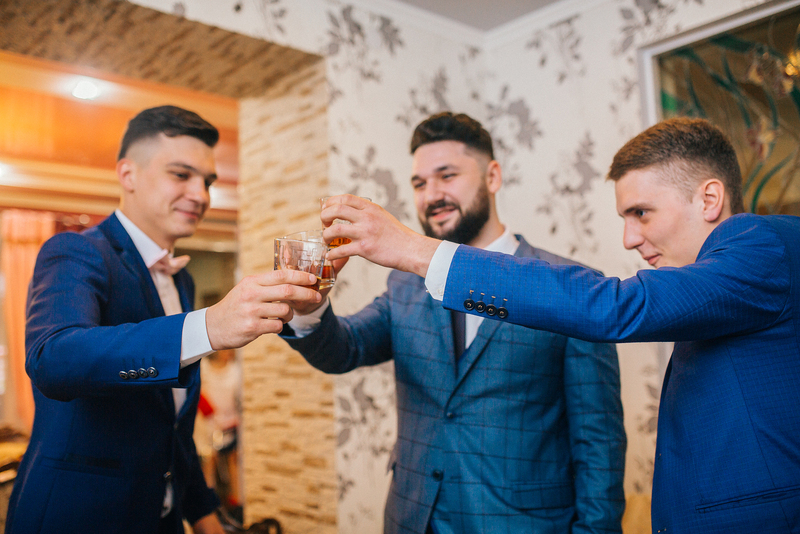 But before the wedding, you’ve still got to have your engagement party as well as get your engagement photos. 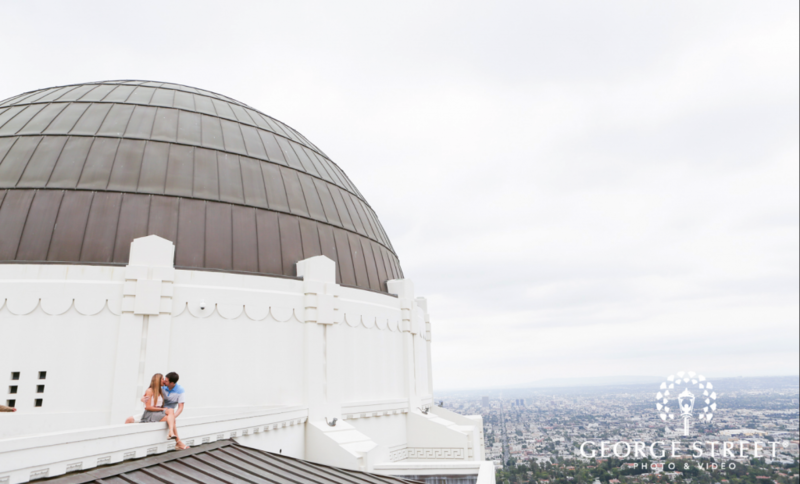 Finding great engagement photo locations can be difficult, so we’ve put together a list of our favorites in Los Angeles. You’ve probably seen the Urban Light display in front of the Los Angeles County Museum of Art in various commercials and movies such as No Strings Attached. 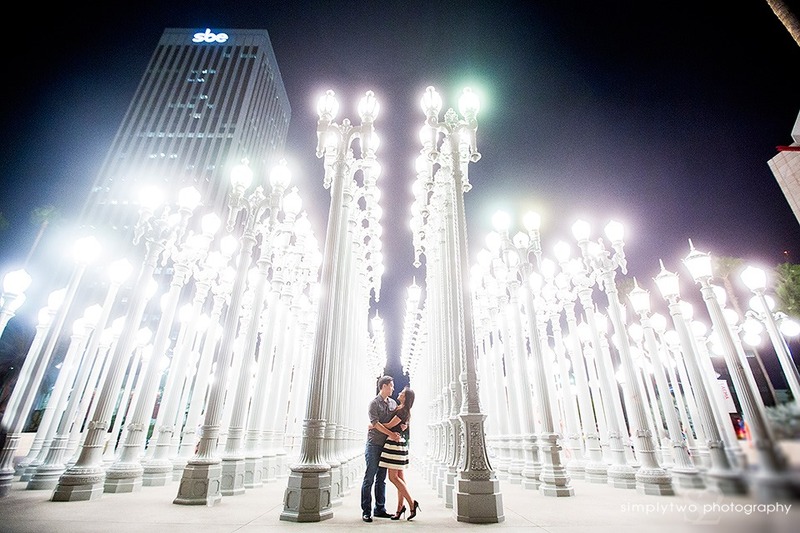 The stunning lamppost display has become a favorite in Los Angeles over the last decade, and it provides a gorgeous backdrop for any engagement photo. The location offers something different compared to the usual nature backdrops that couples tend to choose. The downtown Los Angeles location might not be the first place to pop in your mind when it comes to engagement photo locations, but the classic backdrop provides a vintage feel. There’s something romantic about being at the train station with a loved one. You’re both about to begin an adventure by going to destinations you may have never traveled to before. 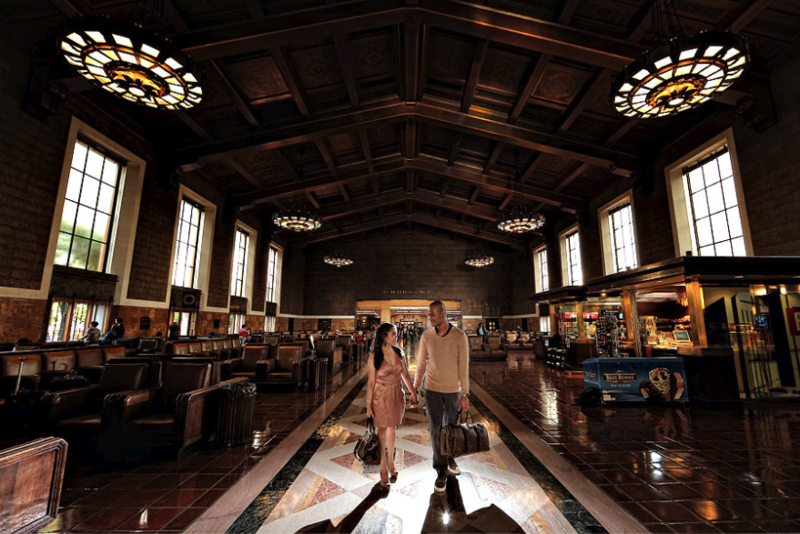 The train station is the perfect metaphor for the adventure that you’re both about to embark on. Tucked away from all the commotion and hectic life at Venice Beach is the calmer and visually stunning Venice Canals. The canals are surrounded by gorgeous flowers and trees, as well as a variety of beautiful homes. There’s a good chance you’ll see some ducks paddling their way through the water. You can even bring your own non-motorized vessel to take a trip on the water if you’re feeling a little adventurous! The canals are a wonderful little getaway from the overloaded locale that is Venice Beach. Travel towards the coast to find yourself a gorgeous location filled with trees and fields. Malibu Creek State Park offers fifteen miles of trails alongside a stream. 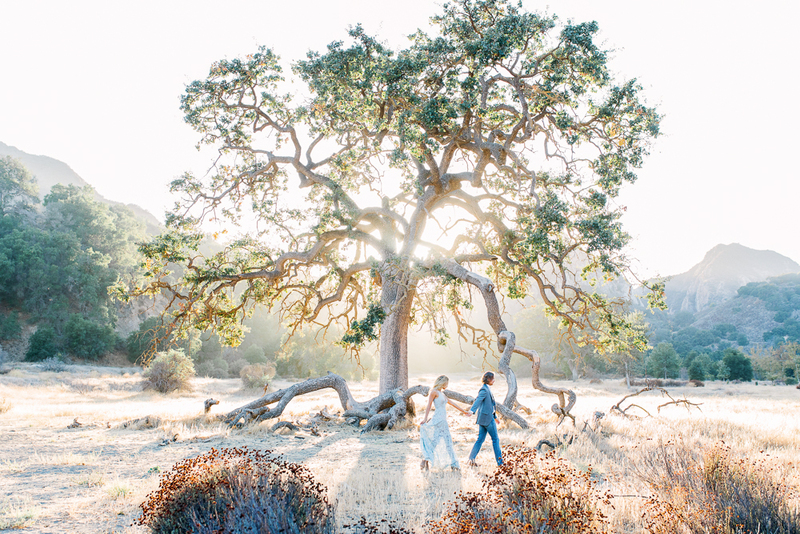 The park is filled with oak and sycamore trees that provide a wonderful backdrop for engagement photos. You might even recognize some of parts of the park from the hit tv show M*A*S*H.
One of the more popular tourist locations in Los Angeles is the Griffith Observatory. The observatory sits on the south side of Mount Hollywood, and offers beautiful views of the Hollywood sign, L.A basin, and the Pacific Ocean. 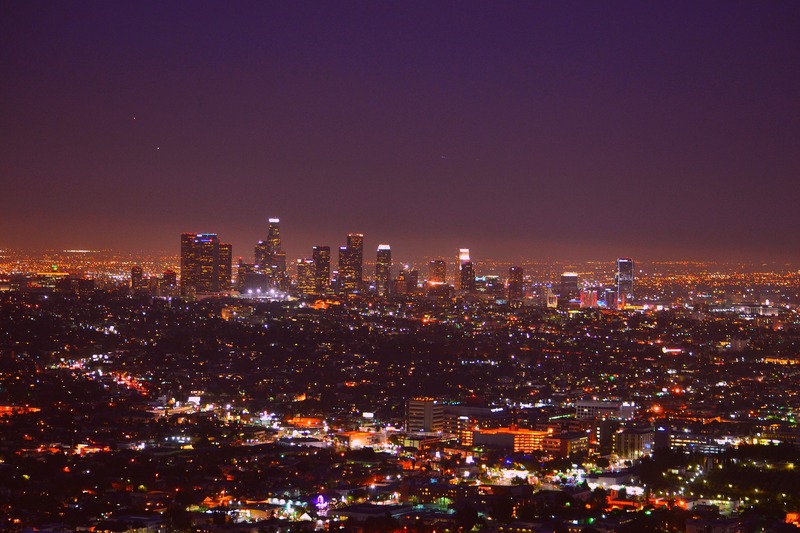 During the day or night, you’ll get an incredible view of the Los Angeles skyline. 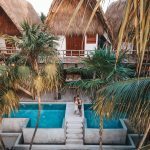 This is one of our favorite engagement photo locations. Here’s a great video of the views you’ll see from the Griffith Observatory. Located in Malibu, Solstice Canyon offers beautiful natural scenery, including a waterfall and mountains. The locale is a popular hiking destination, so do be aware that it can be busy at certain times of the year. 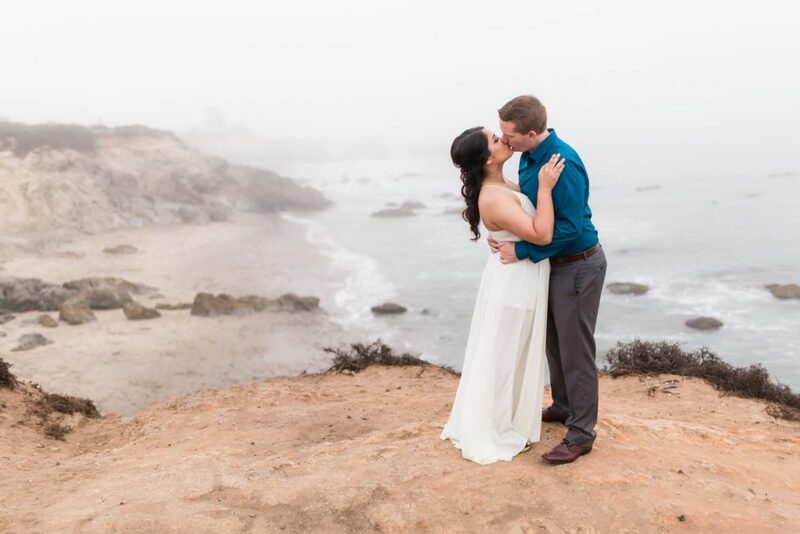 It’s close proximity to be beach also makes it enticing for couples to do their engagement photography here. The century-old buildings located in the canyon provide a vintage feel for your engagement photos. One of the more popular locations in L.A County is the Pasadena City Hall. In fact, it’s become so popular that the city is thinking about making it harder to do photoshoots. 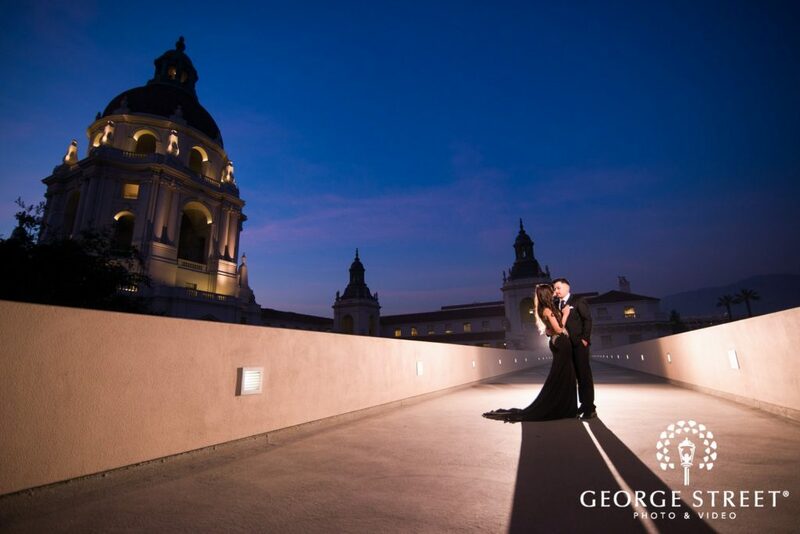 If you’re looking for a castle theme or want to emulate the royal wedding, the city hall architecture is the perfect engagement photo location. Your engagement photos are something you’ll remember your whole life. It’s important to choose a place that’s special to you and your spouse. Selecting the right photographer is also important. 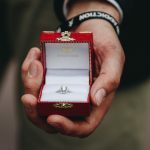 If you decide to use the same photographer for both your engagement photos and your wedding photos, it’s important to ask the right questions. We do want to remind you that since these are all public locations, the traffic can be high depending on the time of year and day you’re taking your photos. 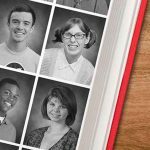 It’s also important to know that some of these locations will require a permit or some sort of fee. 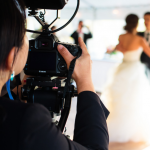 Your photographer should be on top of this, but it’s important for you to look into it as well. 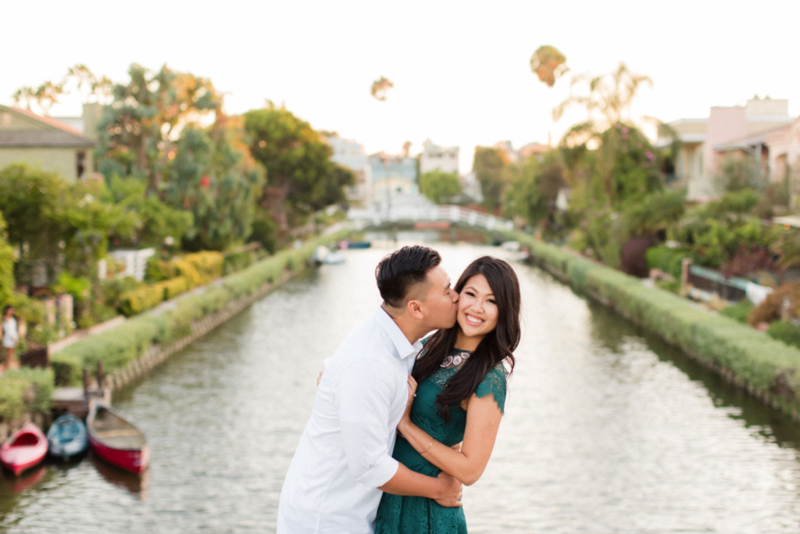 All of these engagement photo locations offer an incredible backdrop for your pictures. It’s hard to go wrong with any of them!